Darren McKean - Darren is one of four BJJ Black Belts and the only Gracie Barra BJJ Black Belts in Queensland. Darren started training in Victoria before moving to Queensland, he trained with Peter De Been at the club in Torquay Vic. Darren has won many National Competitions and was one of the best BJJ competitors in Australia until he retired from competition. 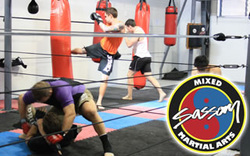 Darren is the head trainer for BJJ at The Peter de Been Brisbane City Academy. Darren has a relaxed but effective teaching style that focuses on the principle behind the technique, this way the technique can be adapted to any students style and strengths. 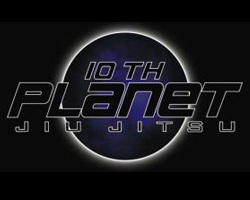 10th Planet Jiu-Jitsu is a non-traditional style of Brazilian Jiu-Jitsu developed by Eddie Bravo. The characteristics that distinguish it from traditional grappling are its strong focus on alternative and unconventional techniques, and its foundations without using a gi. 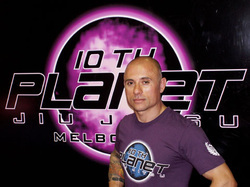 10th planet jiu jitsu AustraliaFrank Barca has trained every year at 10th Planet Jiu-jitsu Hollywood, since 2006, coming in contact with many MMA Legends and many other elite MMA fighters in Hollywood at one of the most sought after training facilities, Legends Gym. He is the first Australian to embrace these submission strategies whole-heartedly (has devoted himself to the system over the last 4 years), and is teaching this unique style of submission grappling for the first time in this country. 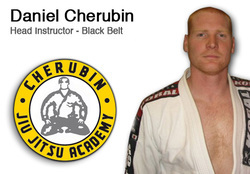 Cherubin Jiu Jitsu Academy boasts the largest mat area of any Jiu Jitsu Academy in Geelong with a huge 140 sqm of Zebra Mats, the number one grappling mats in the world. Along with this we also have an additional 50sqm of fitness area. The Australian Federation of Brasilian Jiu Jitsu was founded by Peter de Been to officially represent the sport of Brasilian Jiu-Jitsu in Australia. Its main goals are to popularize, organize and regulate the sport in Australia to international standards. This work is similar to what the Confederacao Brasileira de Jiu-Jitsu (Brazilian Jiu-Jitsu Confederation) has done in Brazil, where the sport is highly popular and follows established guidelines.